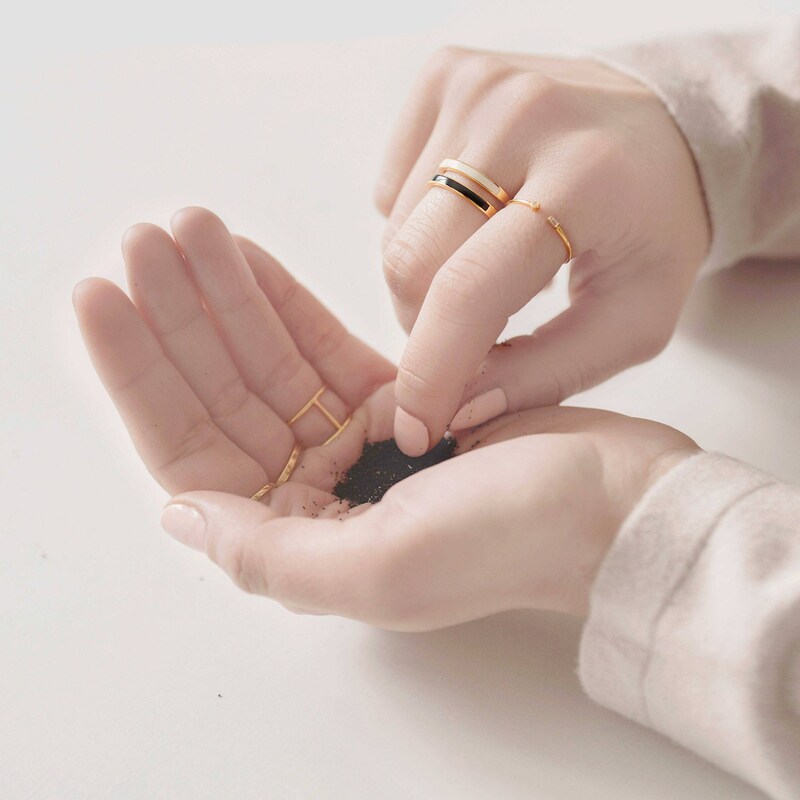 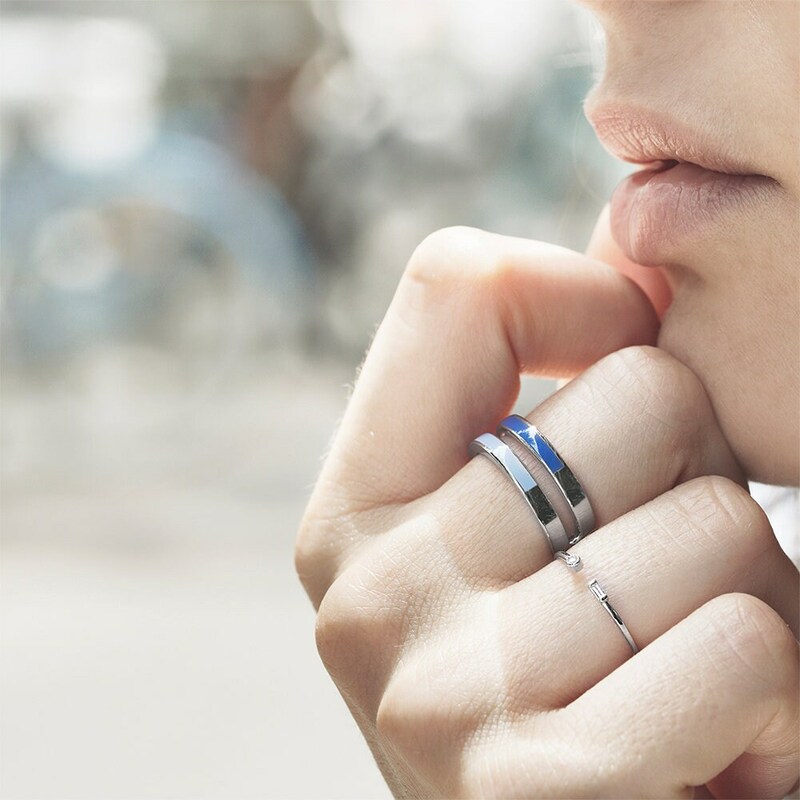 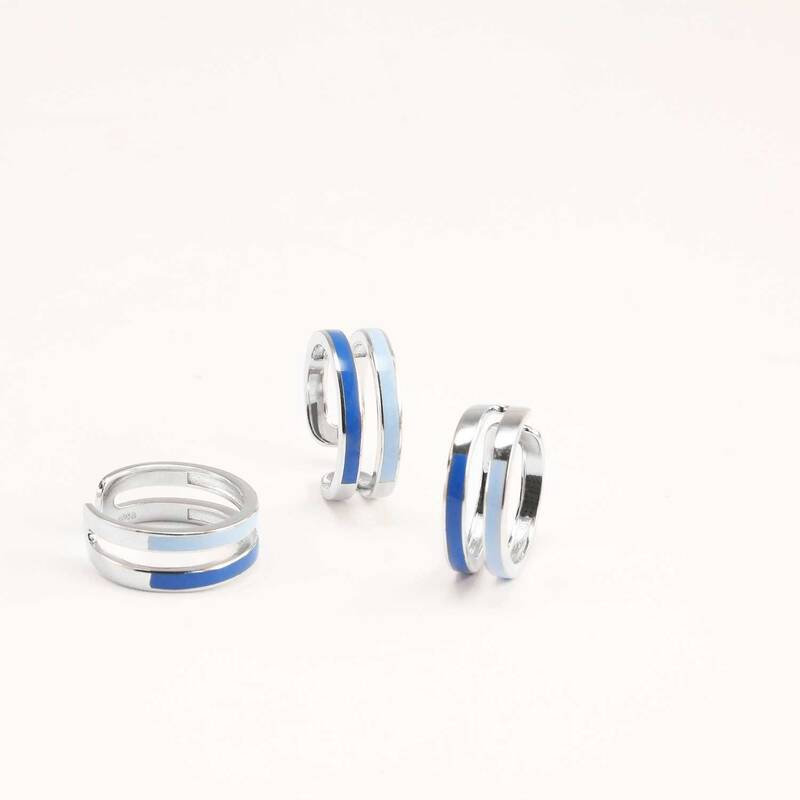 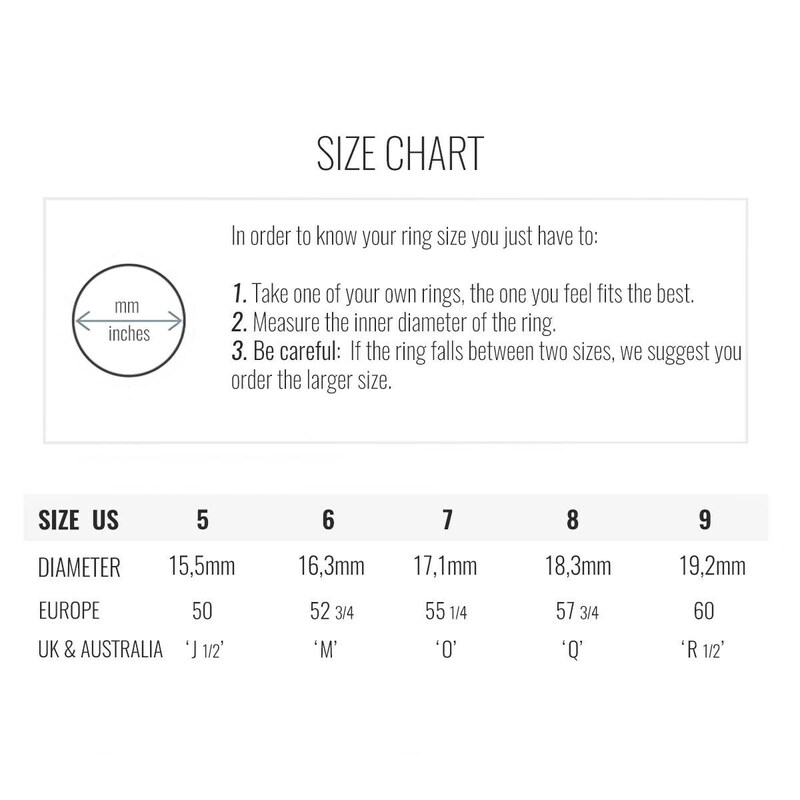 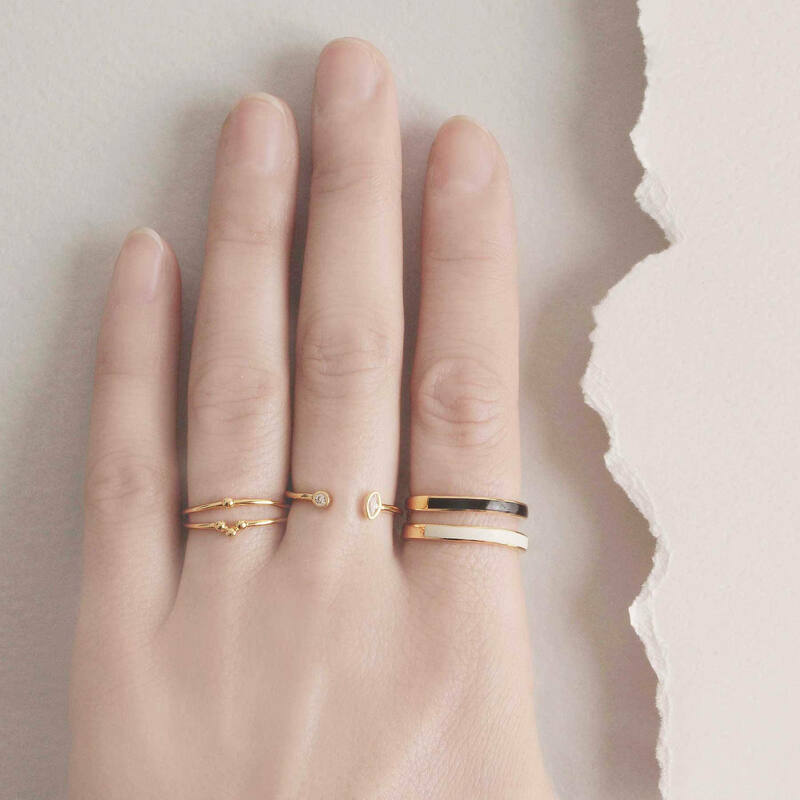 If you like minimalist rings for women, we present everything you could wish for in one style. 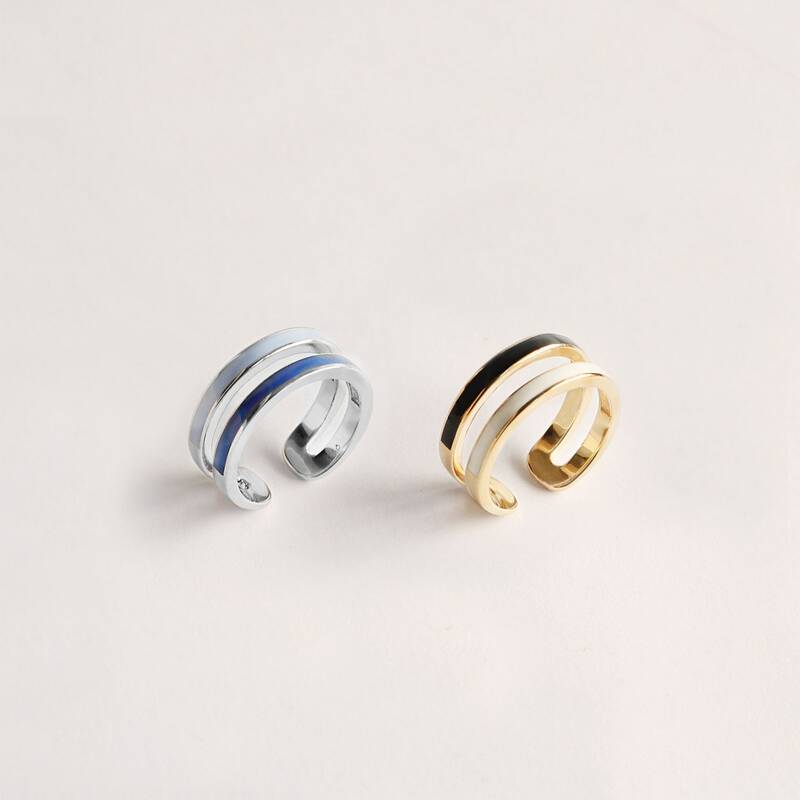 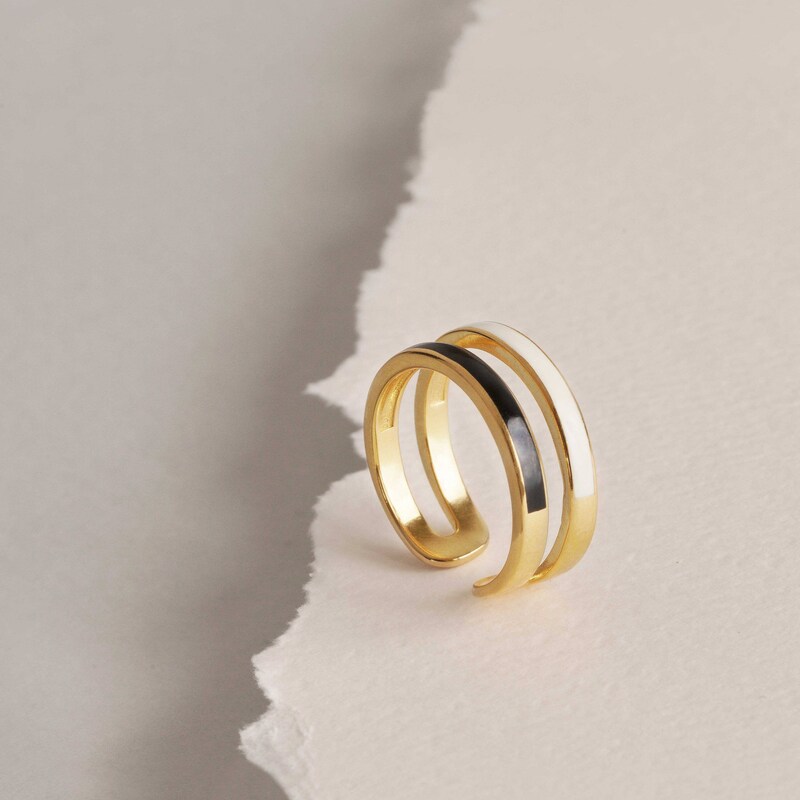 This enamel ring combines strips of jet black and ivory-white on a golden double ring. 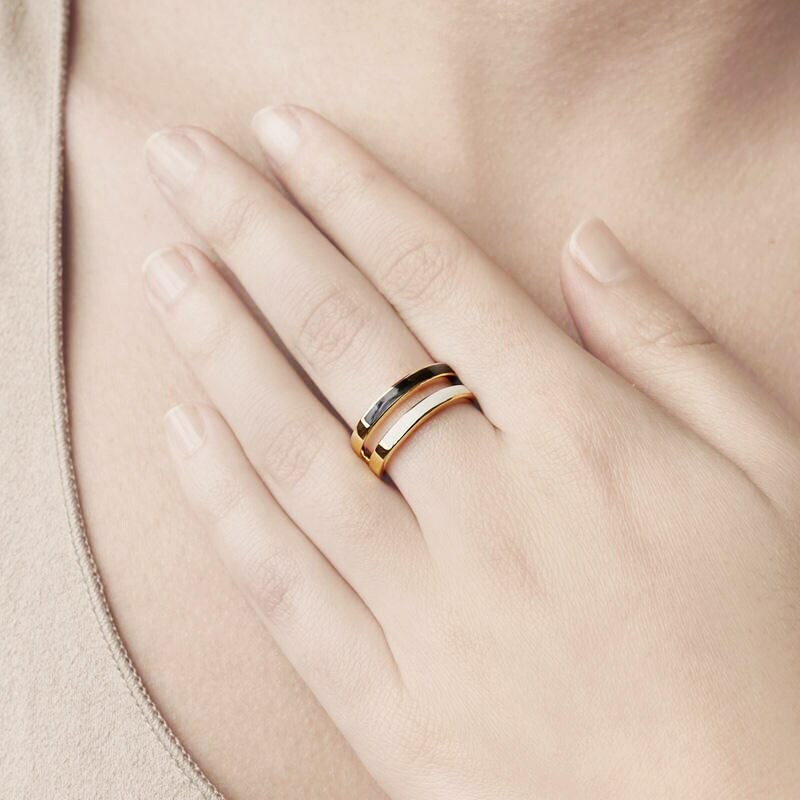 This piece has been inspired by the traditional colors presented every year in runway shows all around the world.